Product code: ES8341 Categories: Modern & Retro Jewellery, Retro Rings. 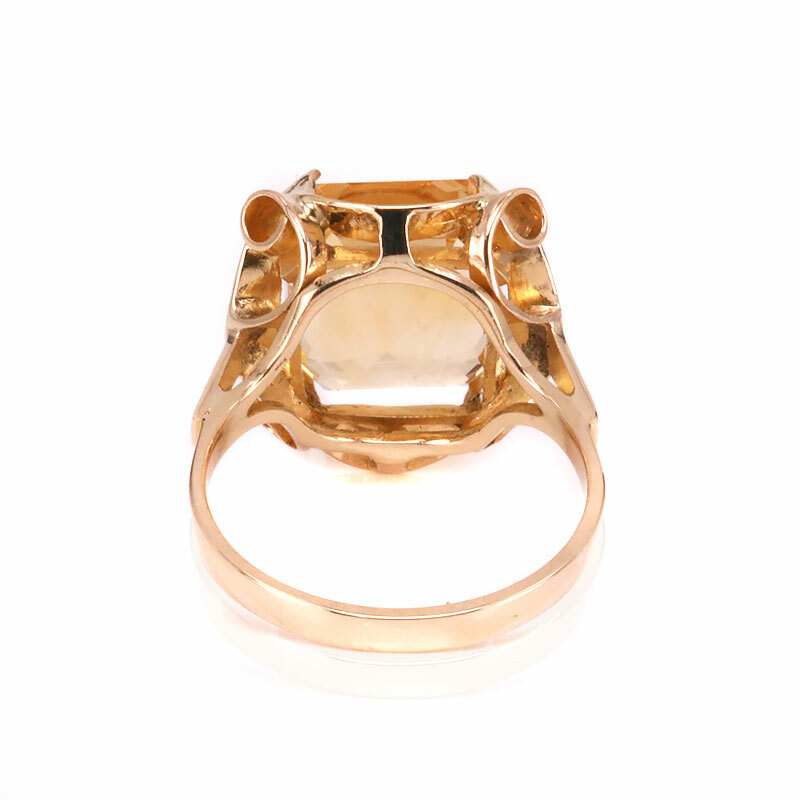 With such a fantastic design accompanied with a beautiful golden citrine that has such a spectacular colour, this ring will always be admired whenever and wherever it is worn. Hand made in 18 carat yellow gold, the design of the ring alone is wonderful to admire with its elegant sweeping border that captures and mirrors the light. The way this ring has been made really shows how much thought and care went into making this ring in the 1960’s and the rich yellow of the gold works brilliantly with the citrine. The golden-yellow colour emanating from this citrine is incredible as is the wonderful straight edges that exemplifies the setting so well. Measuring 4.50 carats, the setting itself measures 15.6mm by 15.3mm across and sits so well on the finger. This is a ring that during the day will outshine all others and in the evening will easily be seen from across the room.